* High quality universal case made out of soft and lightweight PVC. * Suitable for mobile phone, digital camera and other digital devices. * Compact design protects from dust, damp, fingerprints, bumps, scratches etc. * Bag measures approx. 3.5" (W) x 5.5" (L) x 0.75" (D) or 9cm (W) x 14cm (L) x 2cm (D). Please measure your device to see whether it fits before you buy. * Includes adjustable shoulder/neck strap approx. 13" (min) to 24" (max) long (or 33cm to 60cm). 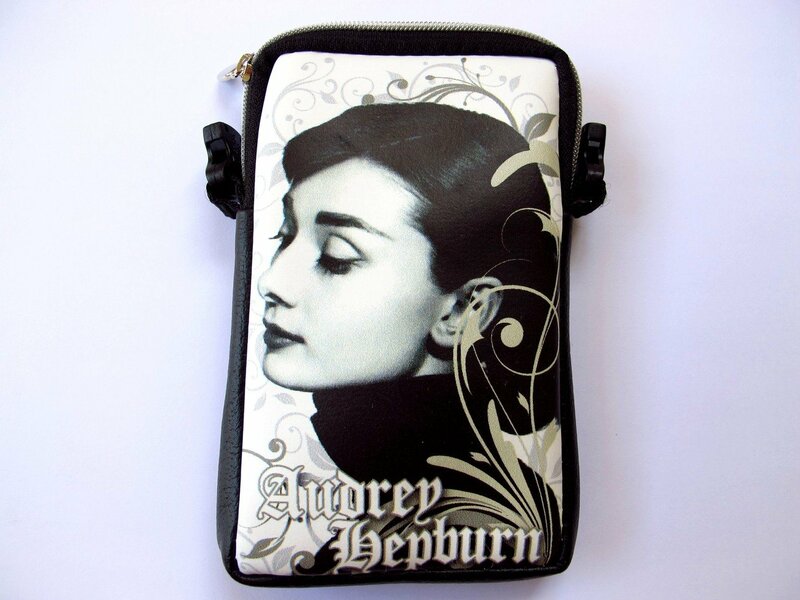 * Features a film-coated, clear reproduced photo on both sides of the case. * Zip-top closure. Fully lined interior with black fabric. * Durable, Fashionable, Soft, Easy to clean. * Condition: New without tags. We accept payment by Paypal only. We happily combine shipping for multiple items. We ship worldwide. Delivery time varies and is dependent on the destination country and the Thai postal service. Please allow approximately 2 weeks for most countries. Items are shipped usually within one day once payment is received. We ship on all days of the week (Monday-Sunday). Please contact us if you wish to combine shipping and save money on the postage rates. We always try to take advantage of the best possible mailing rates. We can also accommodate special orders. Please do not hesitate to contact us if you have any particular question. Thank you for your visit and we sincerely hope to see you soon again. For any queries please contact us at thaijewel73@gmail.com.